While many celebrities run away from fans, Peter Sagal, the long-time host of NPR’s Wait Wait Don’t Tell Me, runs with them. Read on to find out how to register, what he's doing to train for it, and more. On September 26th, WBEZ in Chicago will host the third edition of Ready, Wait Wait… Go! 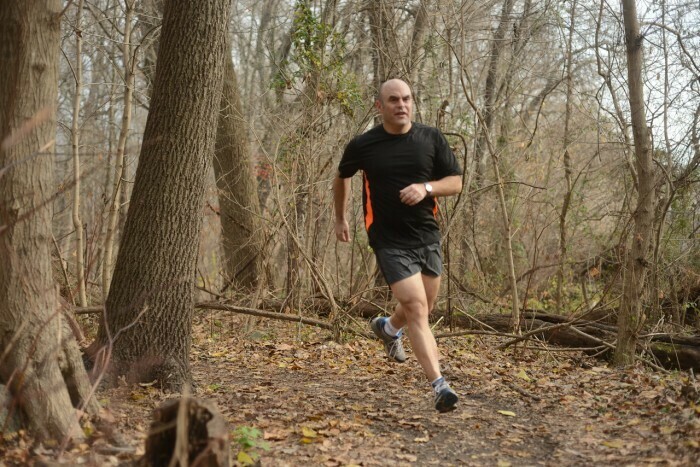 with Peter Sagal, pictured, which is billed as “a fun, easy run with Peter and fellow public radio nerds” in Chicago’s West Loop neighborhood. The upcoming WBEZ run is not a race, and they swear Peter will slow down for it, because his fans know he is a seasoned runner. To date he’s chalked up 13 marathons, sports a PR of 3:09 at Philadelphia in 2009, and writes a flipping fantastic column called Road Scholar for Runner’s World. 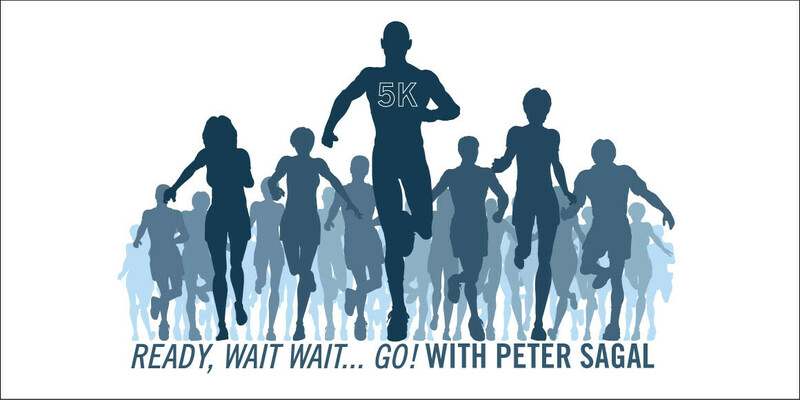 We sat down with Peter — where “sat down” equals emailed him — to ask him a few questions about his upcoming 5K. Put your feet up, check it out, and then register online to be eligible for the free shirt, pre-race water, and post-race beer. Withings: You are a seasoned in-shape type runner, but this is billed as an “easy 5K.” Are you currently training to go slower? Or will you wear lead sneakers or something? Sagal: Yes, sure, but I’m also 51 years old. People will think I’m stopping to let slower runners catch up. Let them. Rumor has it you came to running late — is this true? Do you see this as an advantage? It’s true. After a very mediocre one season as a high school cross-country runner, I slid into indolence and only became a serious runner in my early 40s, a classic midlife crisis, although healthier than some of the other varieties available. The only advantage I can see is that I had a lot of room to improve… I went from a couch to qualifying for Boston in about two years. The bad news is that the inevitable decline came sooner. It’s like finally learning to drive really fast just a mile in front of a cliff. Do you know anything about the fitness level of any other NPR personalities? In general, we are a bunch of people dedicated to the life of the mind, if you get my drift. However, Daniel Zwerdling used to be known for skipping his lunch in order to run around Washington, DC, and my own senior producer, Ian Chillag, has a 2:39 PR in the marathon. That said, if anybody in public radio had been, say, captain of their HS baseball team, they probably wouldn’t be in public radio. WBEZ says there are “no times or chips” in this race, so if one were to just Uber to the finish line for the beer and refreshments, is that a scandal-free option? Asking for a friend. OK, what I’m really saying is, can I just come for the beer? There are no rules, because there are no rewards. You may do what you like. However, just to avoid mocking, I recommend wearing technical fabric and spraying on some sweat. Apparently there will be music after the run. What kind? It’s public radio, so probably Neko Case and Portuguese Fado music. Follow up: if some don’t manage to finish, will Kai Rysdall be there with the wah wah trombones? No, but Terry Gross will be to interview you about your deepest feelings of shame and regret. Will the custom event T-shirt and pre-race water be up to the high politically-correct standards of the public radio audience? All sustainably sourced, and they will be conflict-free t-shirts. Anything I should’ve asked, but didn’t? If you had asked, “How much fun is this?” I would have said a LOT. Unlike most stuffy public radio fundraisers, this one is outside, everybody wears shorts, and we run around and then drink beer. What could be better? Thanks to Peter for his time. Want some more inspiration? Check out Running: A Love Story and our profile on Nerdstrong Gym.